World Series:Los Angeles Dodgers Host Houston Astros For Game 1 Houston has "been a city that, y'know, has been going through a lot of things this year," second baseman Jose Altuve said. But the Dodgers are still favored to win. 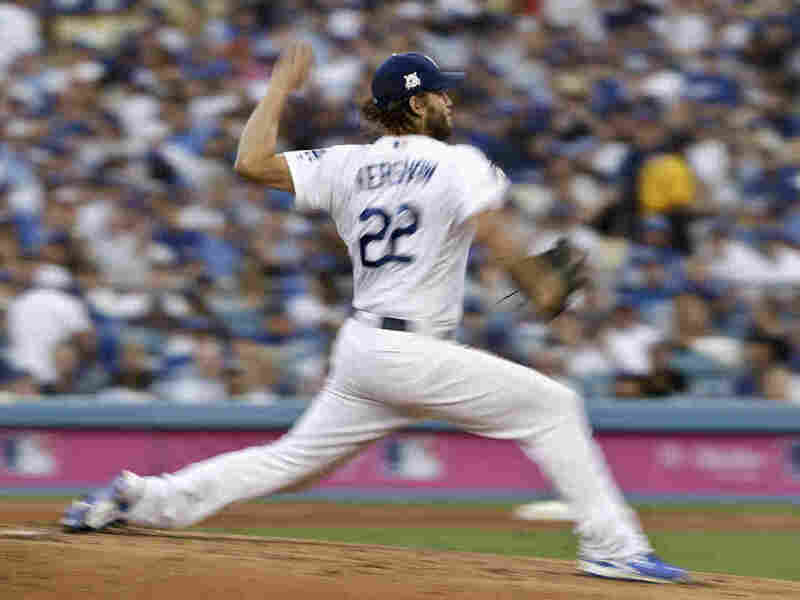 Los Angeles Dodgers pitcher Clayton Kershaw has been called the best pitcher of his generation, but he'll meet his match with Houston, the best-hitting team. The World Series begins Tuesday night in Los Angeles and it's a fitting conclusion to the baseball season. The Los Angeles Dodgers and Houston Astros have been two of the best teams all year. L.A. won a major league best 104 games; Houston, 101. And and now they're playing for a championship. Time for a new memory? Last year's World Series winner, the Chicago Cubs, ended a 108-year championship drought. If the favored Dodgers can beat Houston four out of seven games, L.A. can end 29 years without. That's a blip compared to the Cubs. Not Dodgers fans or players ... like pitching ace Clayton Kershaw. They appear ready to move on from the city's most cherished sports memory — the 1988 Kirk Gibson pinch hit World Series home run. "There's not a lot of organizations that have the type of history that the Dodgers do," Kershaw said Monday. "And I hope after this week's over, they can start talking about 2017 a little bit more and 1988 a lot less." Starting tonight, Kershaw will have a hand in shifting the conversation. A big left hand, and arm, that he'll wield as L.A.'s Game 1 starter. Kershaw often is called the best pitcher of his generation, and he'll have to summon all his skill against the Astros. Houston is the best-hitting team in baseball. The lineup from top to bottom can put balls in play and crush home runs. And the heart of that offensive attack is the smallest player on the field. Five-foot-six-inch second baseman Jose Altuve can hit any type of pitch. And he has energized a city that's still suffering the effects of a devastating hurricane. Altuve said Monday he'll have Houston in mind as he tries to help the Astros win their first ever World Series. Houston Astros' Jose Altuve has energized a city that's still suffering the effects of a devastating hurricane. 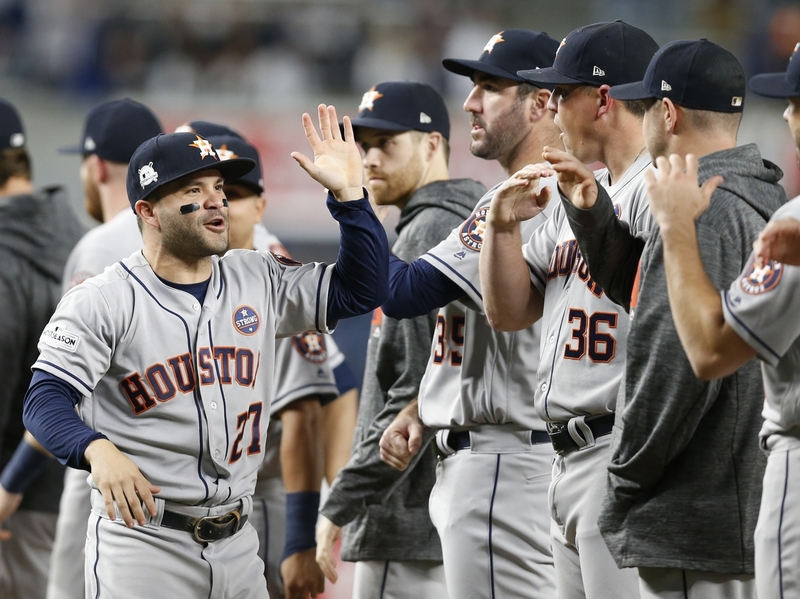 "It's been a city that, y'know, has been going through a lot of things this year," Altuve said, "When we were playing on the road, while they were having a hard time with the hurricane. Then we came back, we tried to help them. We want to win this World Series for them. Because they deserve it and because they've been true fans all year long." The Dodgers, though, are favored for several reasons. Kershaw leads a rotation of great starting pitchers, but the bullpen has been especially good. L.A. relievers held a powerful Chicago Cubs lineup scoreless for the entire National League Championship Series. It was part of the L.A. bullpen's playoff record 23-straight innings without letting opposing batters score. The Dodgers will be tested mightily by Houston's bats. But baseball analysts give L.A. hitters a better chance of breaking through against Houston's bullpen, which hasn't been great. Certainly not as effective as the Dodgers. Although a notch below the Astros offensively, L.A. still has a formidable lineup. From man-of-the-moment Justin Turner, to the always dangerous and flamboyant Yasiel Puig, to homerun pounding rookie sensation Cody Bellinger. If pitching and hitting aren't enough, the Dodgers play great defense as well. In late August, Sports Illustrated had a feature on the Dodgers with these words on the cover: Best. Team. Ever? True to the SI cover jinx, L.A. then entered a curious tailspin, losing 16 of 17 games. Perhaps the baseball Gods needed to humble the Southern California juggernaut. Lucky for L.A., the losing streak ended early enough in September for the Dodgers to ramp up for the playoffs. And in the postseason, they've won 7 of 8 games. But few outside of Los Angeles expect a Dodgers rout in the World Series. Houston has faced adversity in the playoffs, winning two elimination games in the American League Championship Series. The Astros have outstanding starting pitchers, including former Cy Young award winner Justin Verlander and Game 1 starter Dallas Keuchel. And despite the adage that good pitching beats good hitting, powerful hitting teams like the Astros actually have had more success in recent World Series. It will be power vs. power. No Davids allowed — this World Series is Goliath and Goliath. And it's the first World Series since 1970 matching two teams that have won at least 100 regular season games.